Rev. Martin Luther King Jr. was assassinated at the age of thirty-nine on April 4, 1968 at 6:01 p.m.
President Lyndon B. Johnson declared a national emergency. He called up federal troops, in 102 United States cities, outrage rioters poured into the streets. A crowd of over twenty thousand marched on to the White House on April 5, 1968. The federal troops had to fire on to the crowd of riots to turn them back from overrunning the White House. The whole country was out of control! As you read the book, you will be taken back to the Dr. Martin Luther King Jr. assassination, and you will be riveted by the book Rookie Cop. You will live rookie police officer Marvin Levey’s police adventure! 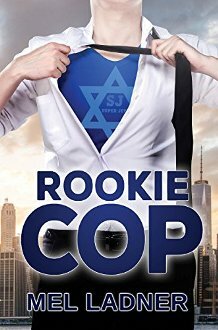 Rookie Cop a great read! "Listing your books and author profile online is an essential component of book promotion. Humanmade’s powered listing does a great job by providing attractive, indexed listings. A fantastic opportunity for potential fans to discover your books."